Betty White drums up business better than any other celebrity. 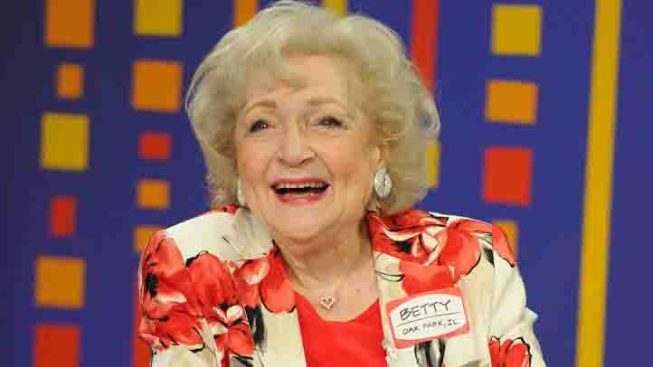 Betty White is "Hot" in more than just Cleveland. The former "Golden Girls" comedienne, 89, was voted the most trusted celebrity and the person most likely to drive up business by endorsing a product, according to a Reuters/Ipsos poll released Wednesday. Paris Hilton, not so much. The approximately 2,000 Americans polled gave an 86% approval rating to the Emmy award-winning actress, while 44% said they would be more likely to do business with a company with White's approval. White topped Denzel Washington, Sandra Bullock, Clint Eastwood and even Kate Middleton, Duchess of Cambridge in the celebrity popularity contest. If companies want to sell their products, the polls results say they should stay far, far away from Paris Hilton and Charlie Sheen. The socialite and fired "Two and a Half Men" star were voted to be the least trusted and most unpopular, at 60% and 52% respectively. Britney Spears and Kanye West tied at 45%. Kim Kardashian, whose upcoming nuptials have garnered much media attention, also made the unpopular club with a 38% dissapproval rating. White, who was brought back to the spotlight after her "Golden Girls" days in the 1980s with films like "The Proposal" and TV show "Hot in Cleveland," beat out 100 other personalities in the nation-wide poll. Check here for the full list.